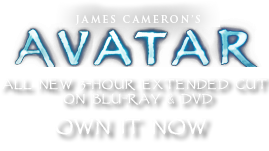 Gourd Drums or Water Drum | Pandorapedia: The Official Guide to Pandora | Own AVATAR on Blu-ray & DVD Now! A unique element of this drum is an additional smaller drum inserted into a hole cut in the side of the large gourd bowl. This drum is covered with a sturmbeest bladder, a material known for its strength and elasticity. While tapping on the inverted gourd, the player pushes on the bladder, which causes the water level in the gourd bowl to rise, causing the pitch of the drum to change subtly. When played for social dances and songs, the small gourd drum plays typical Na’vi dance rhythms. Pitch changes are optional. Materials and Construction Wood, paint, woven materials, leather, rope, gourd, water. Hemispherical floating drum, made from a gourd that has been halved, is inverted into a larger water-filled gourd.